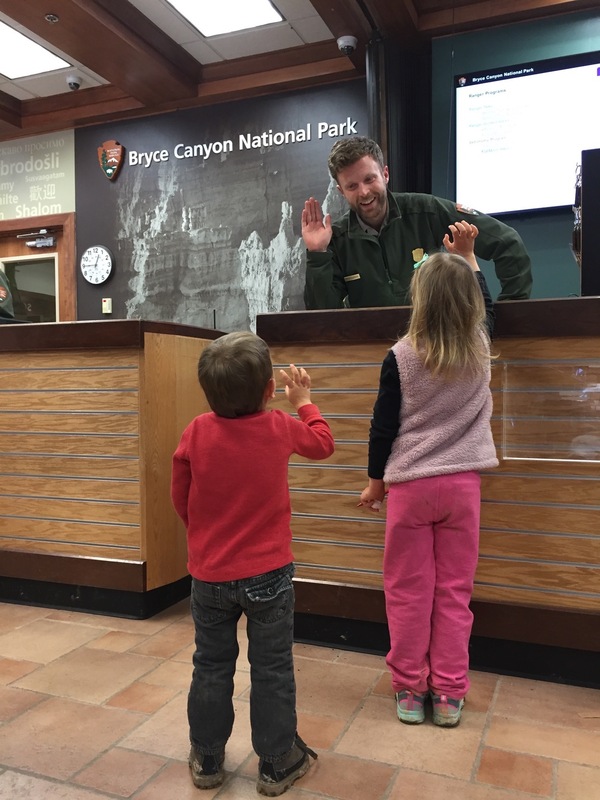 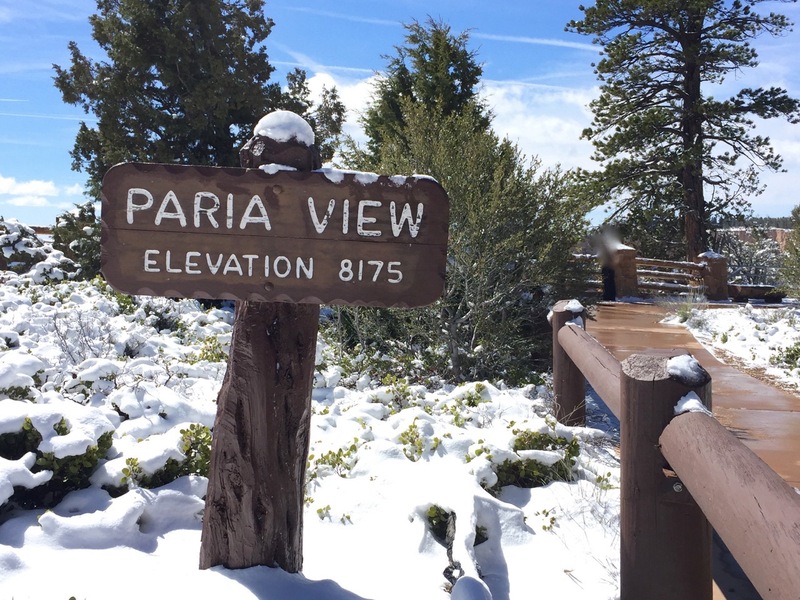 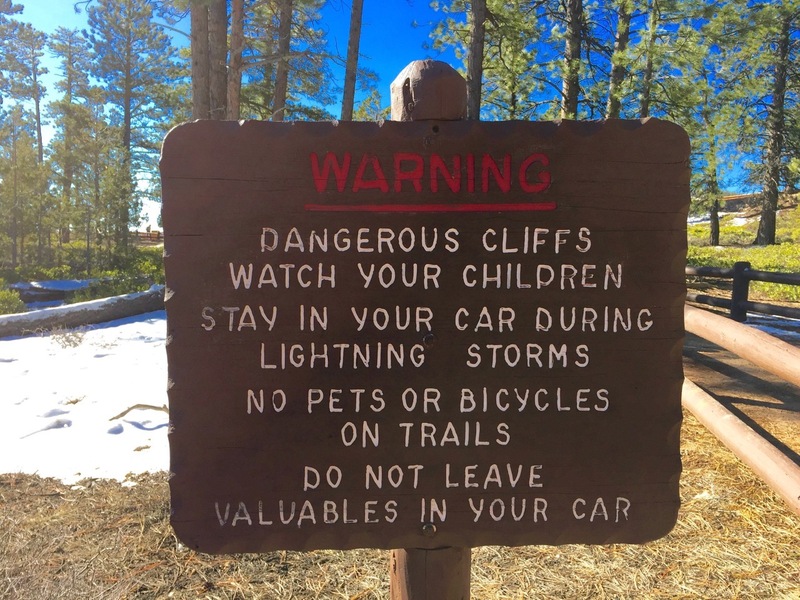 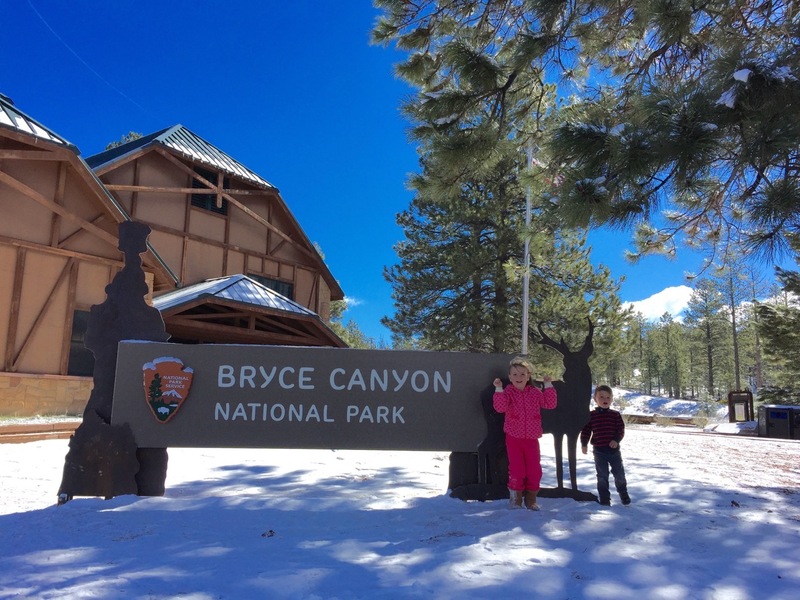 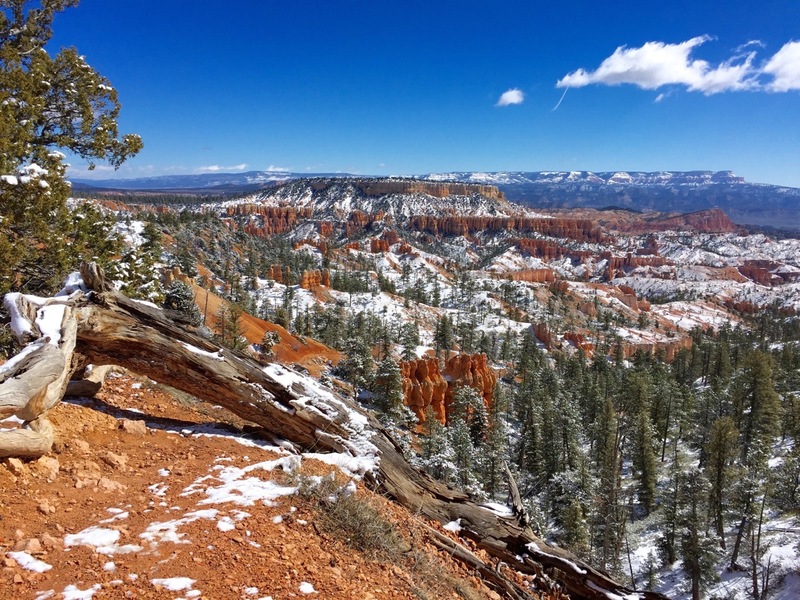 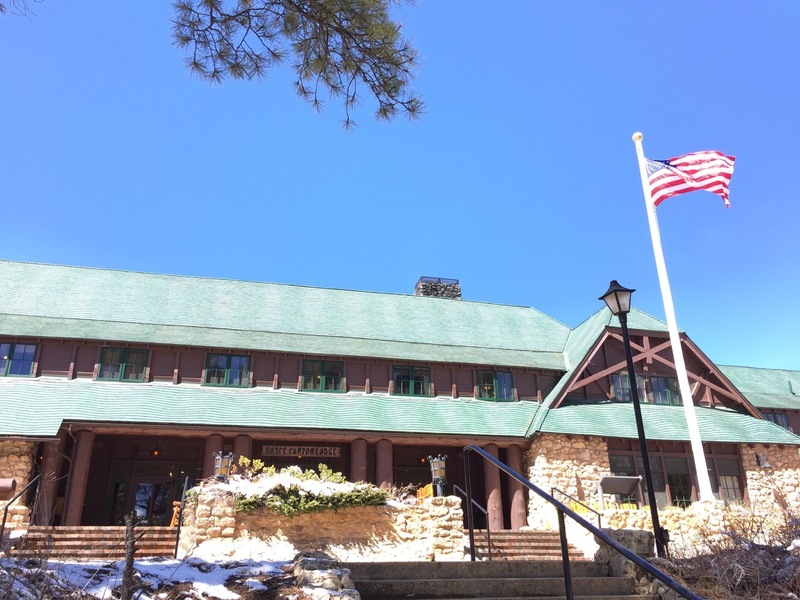 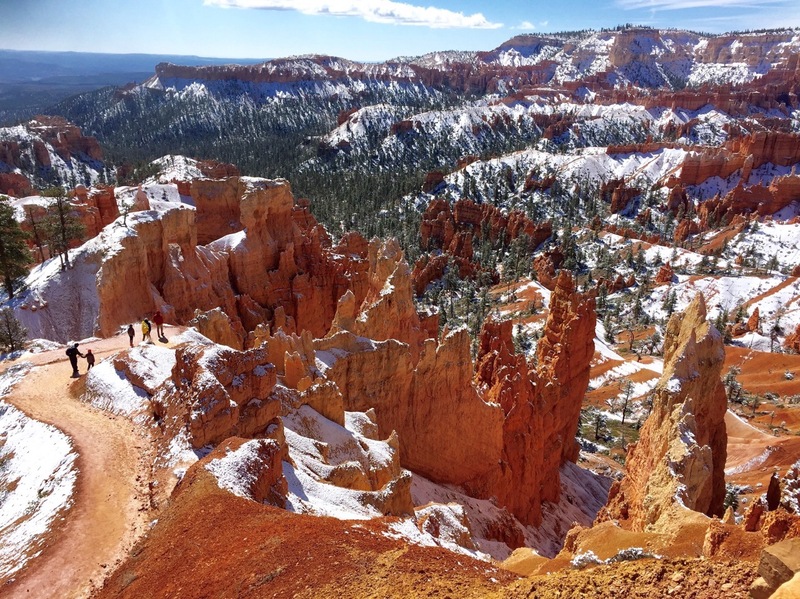 We set out from Capitol Reef with great anticipation, as 1-3” of snow was expected in Bryce Canyon by evening. 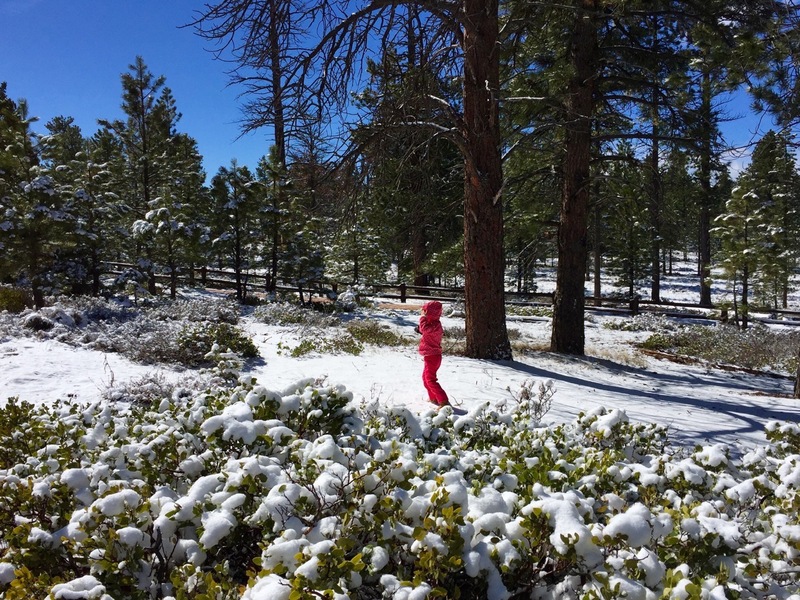 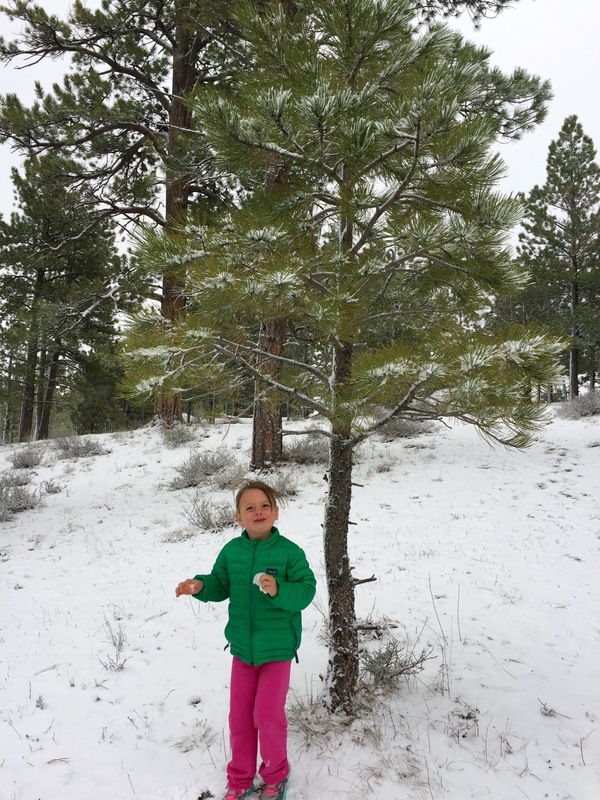 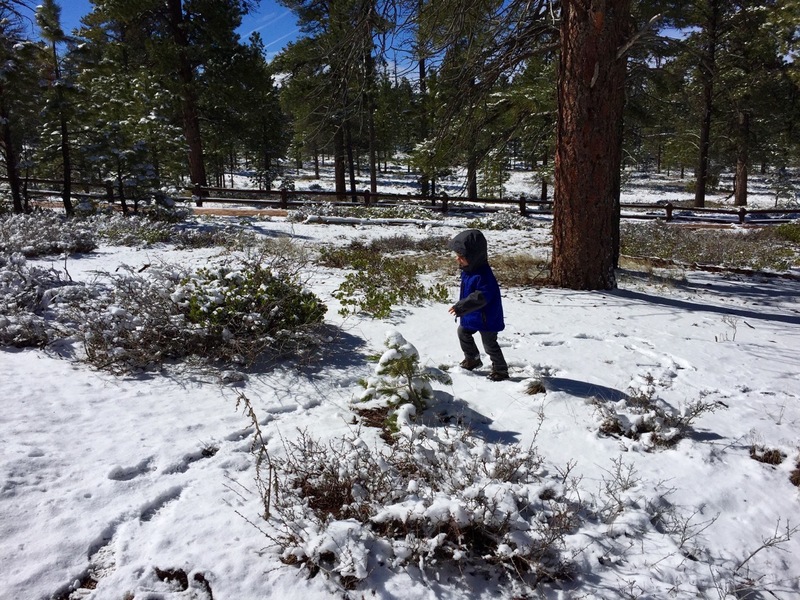 Which we were excited for, assuming we arrived in camp before the flakes found their way down. 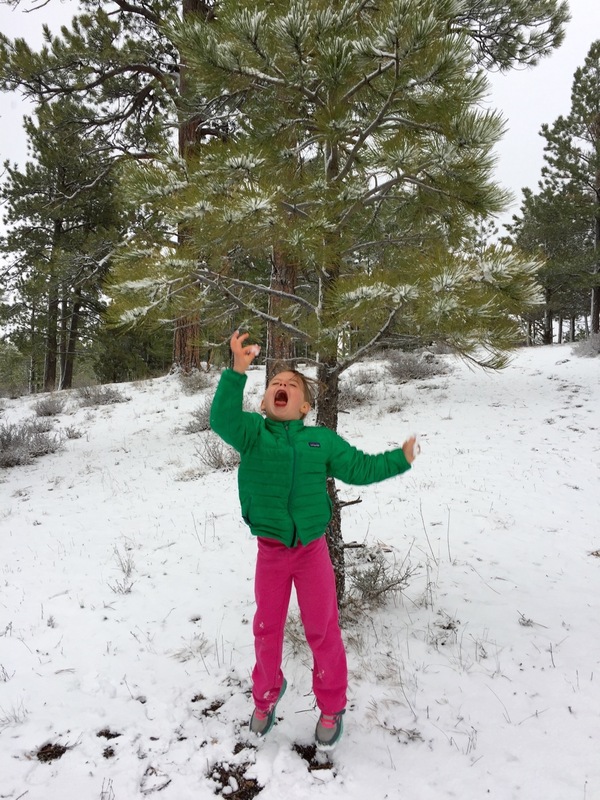 Thankfully, we made it just in time as the leveling jacks had just finished their job when our daughter exclaimed “SNOW!!!! 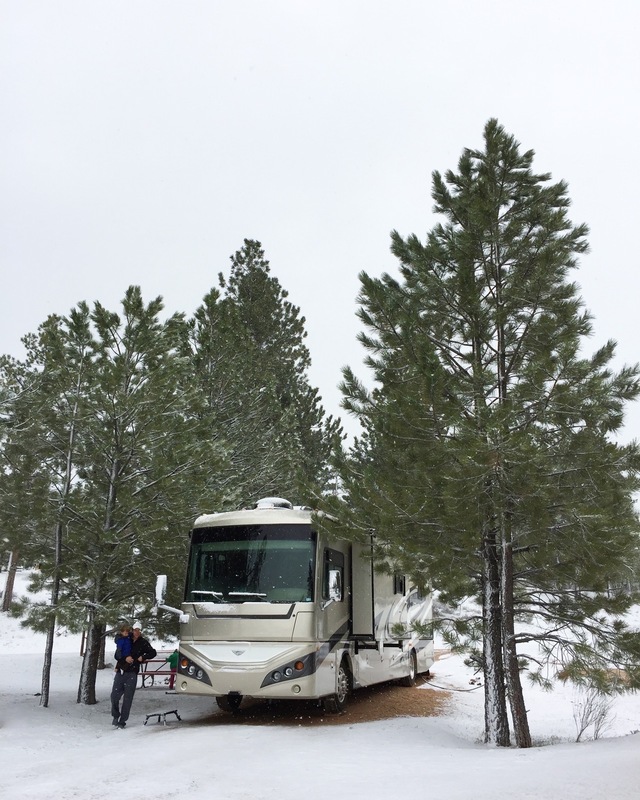 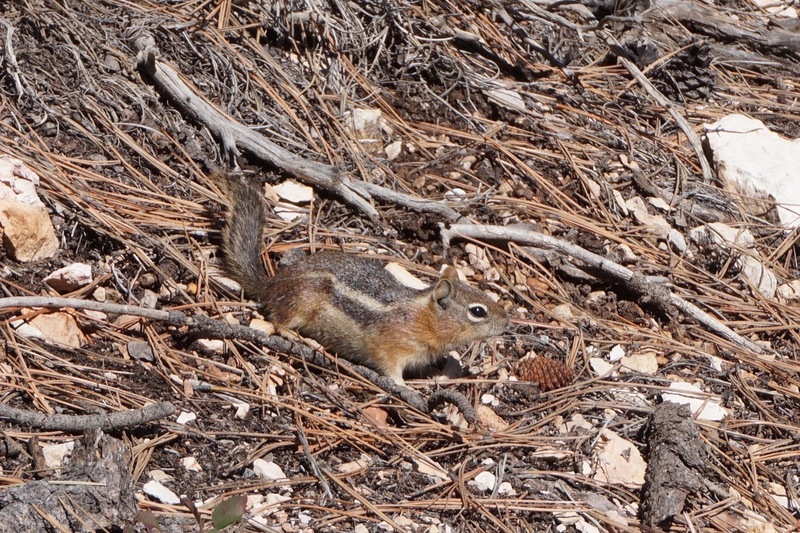 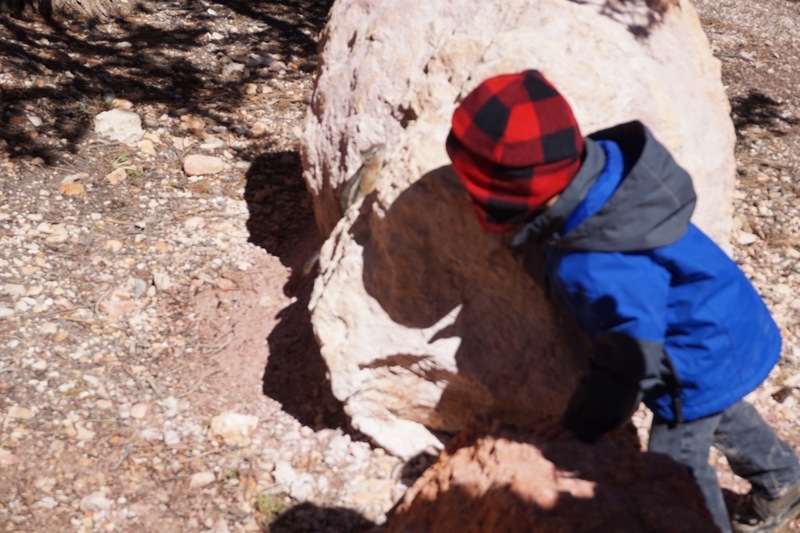 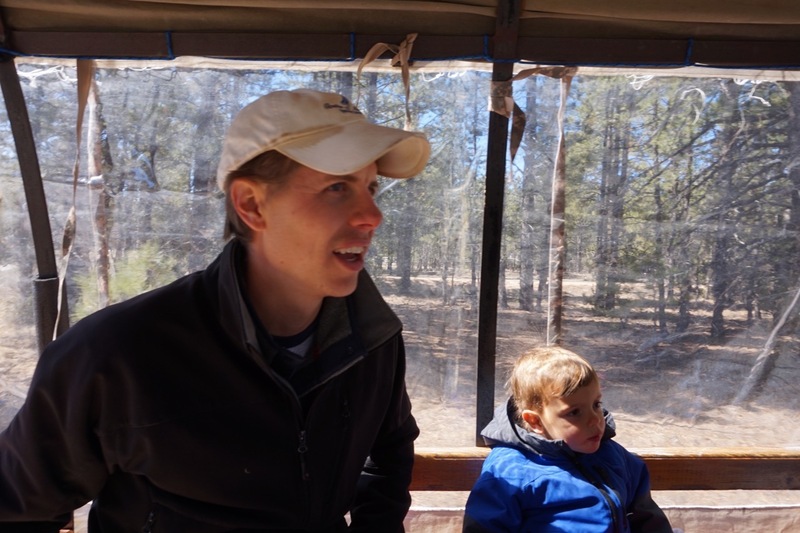 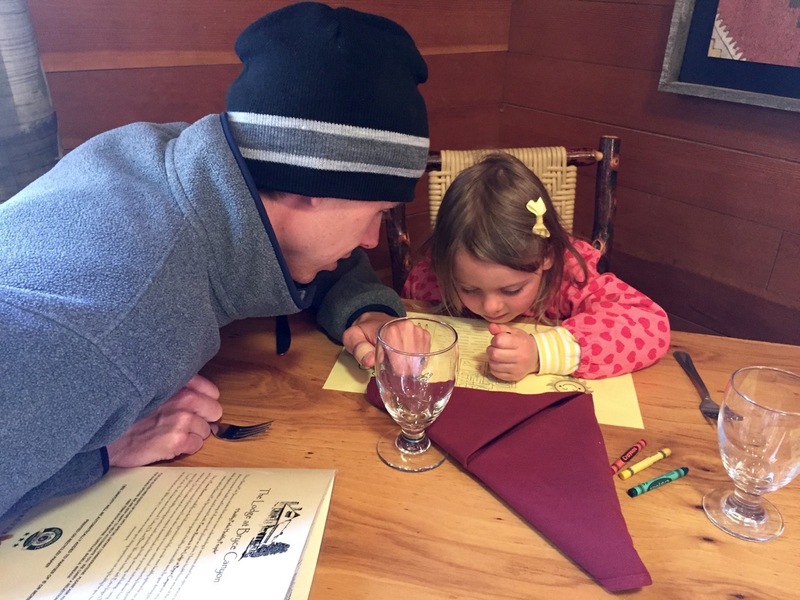 !” So it was time for a little hot cocoa and our warmest gear as we trundled out to play. 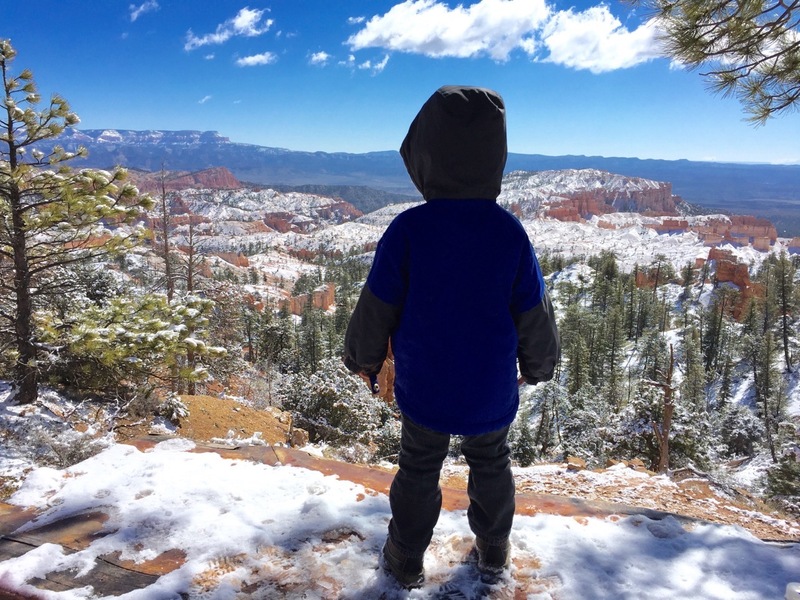 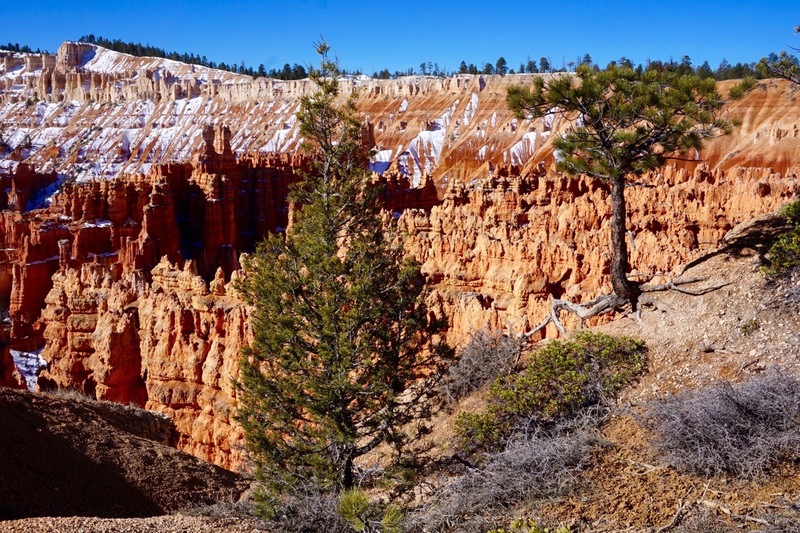 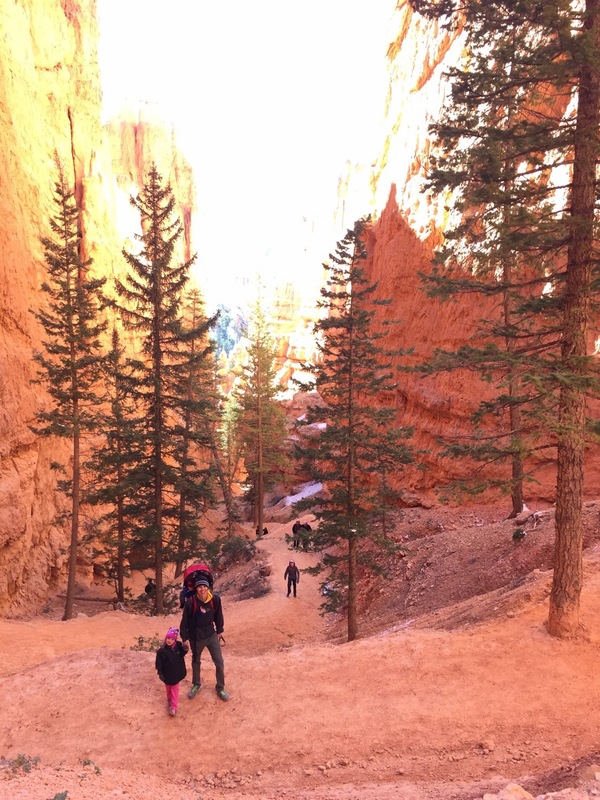 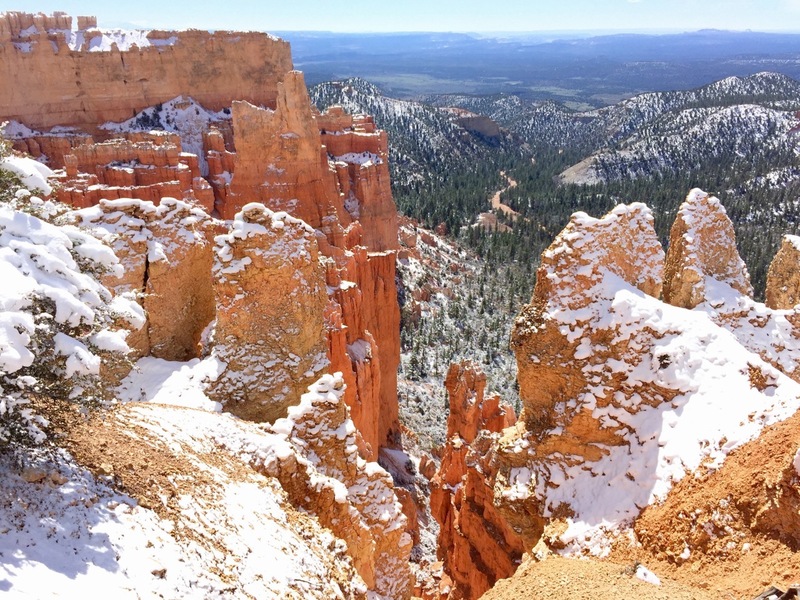 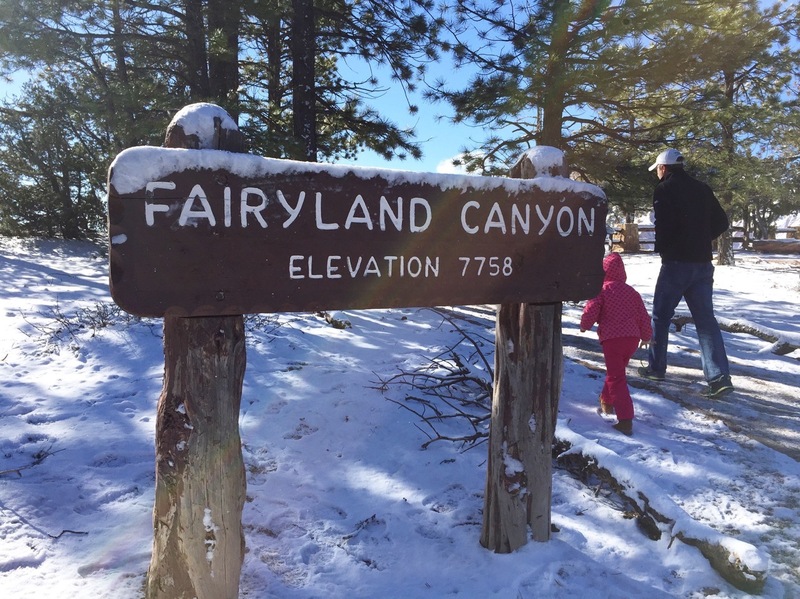 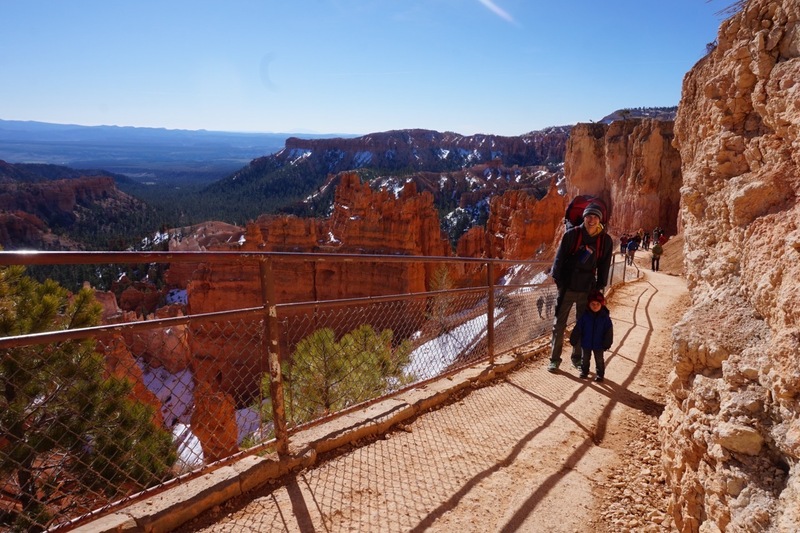 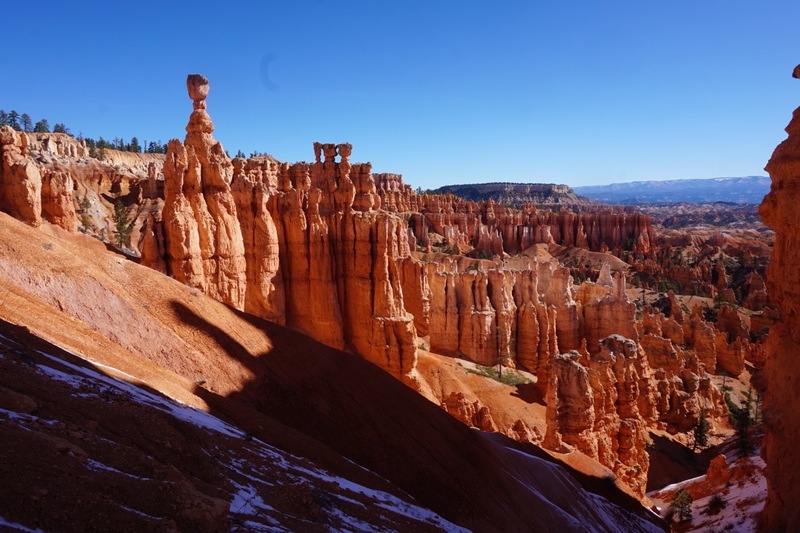 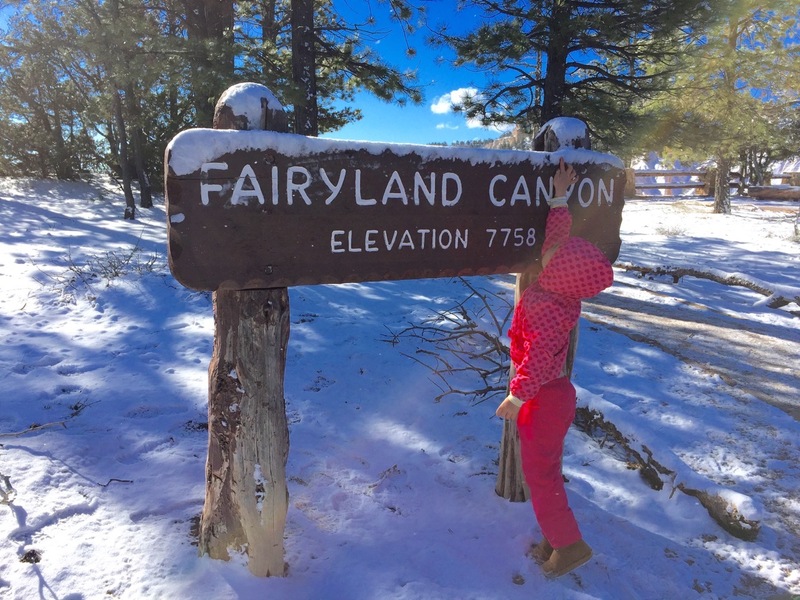 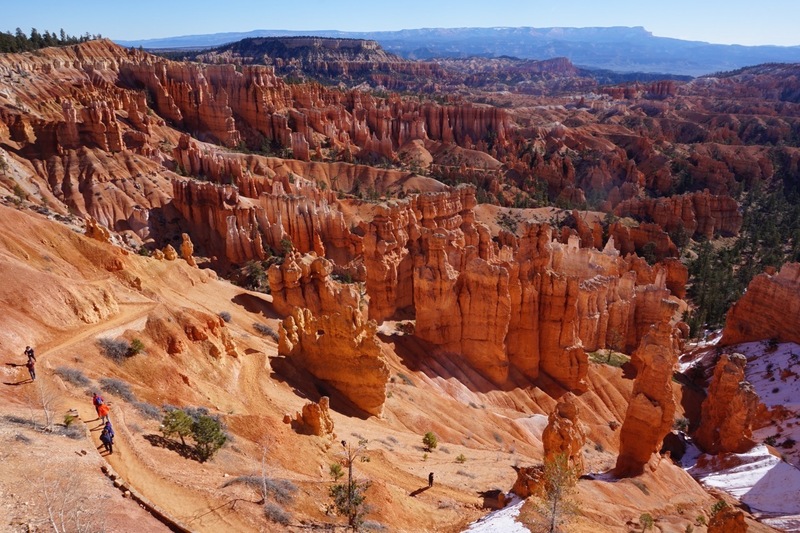 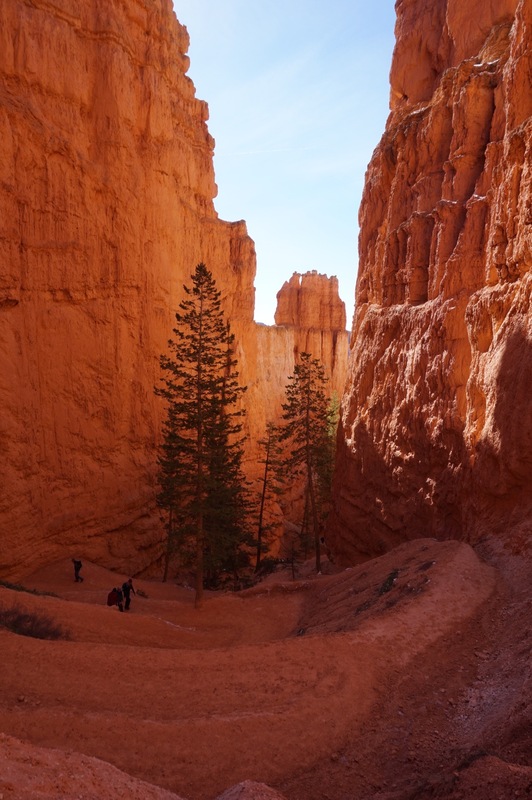 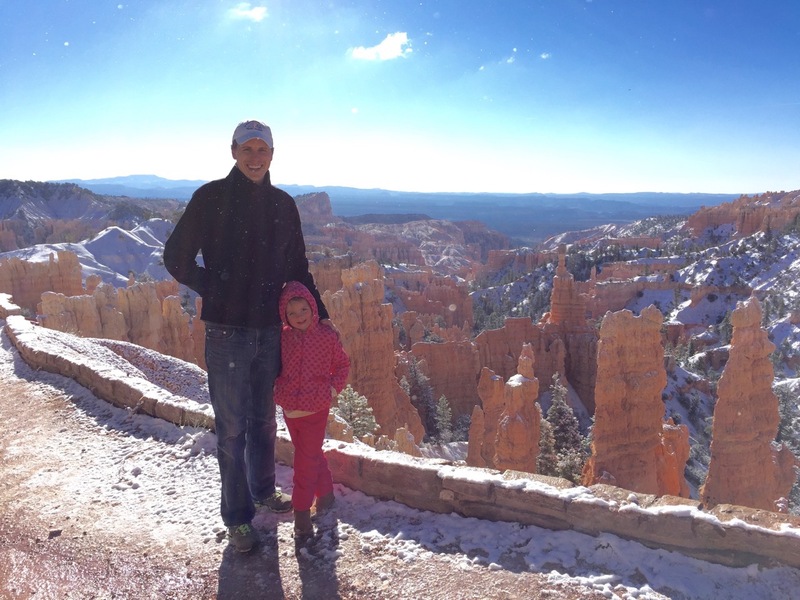 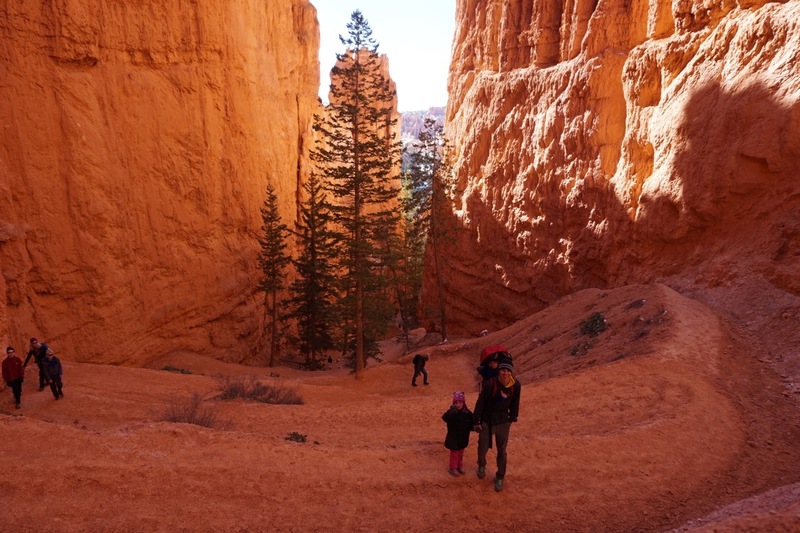 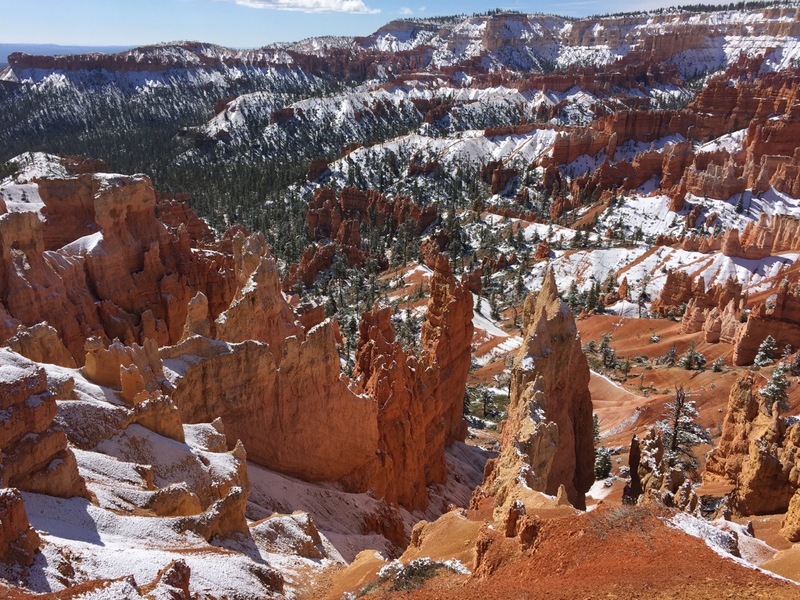 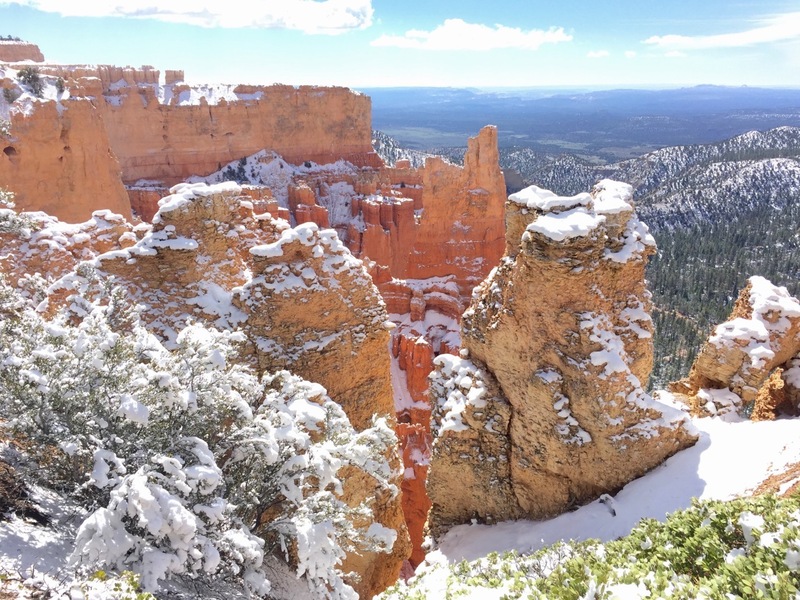 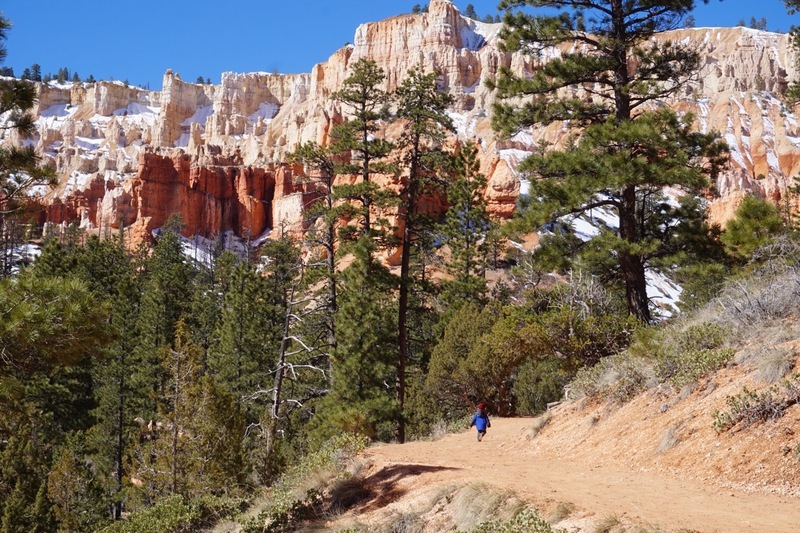 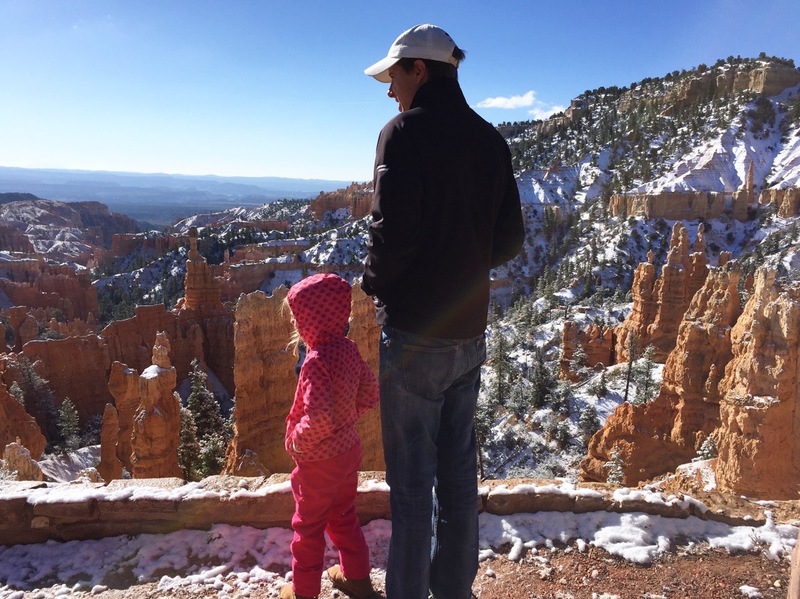 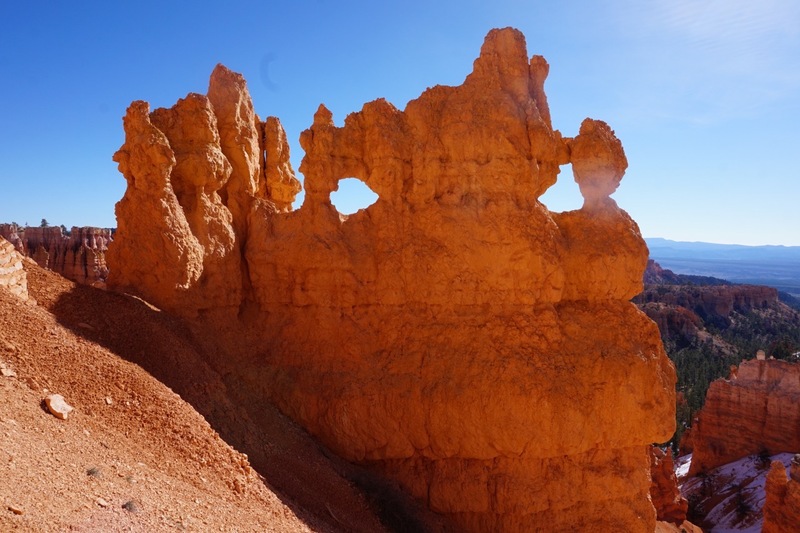 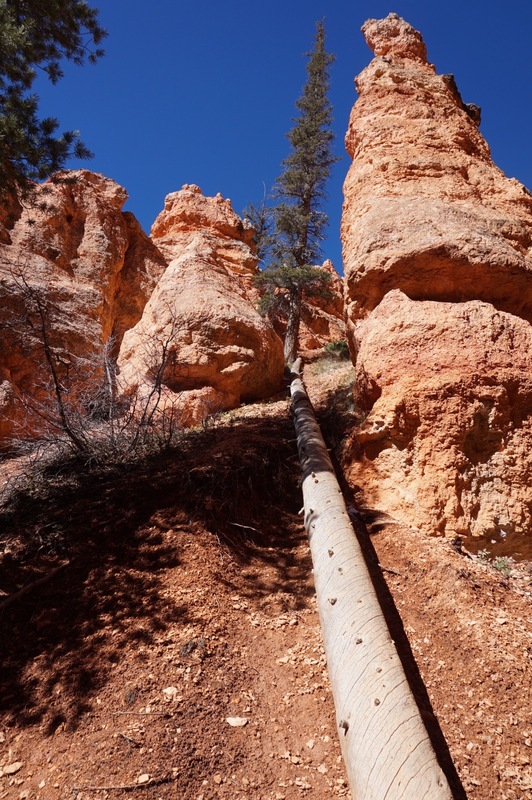 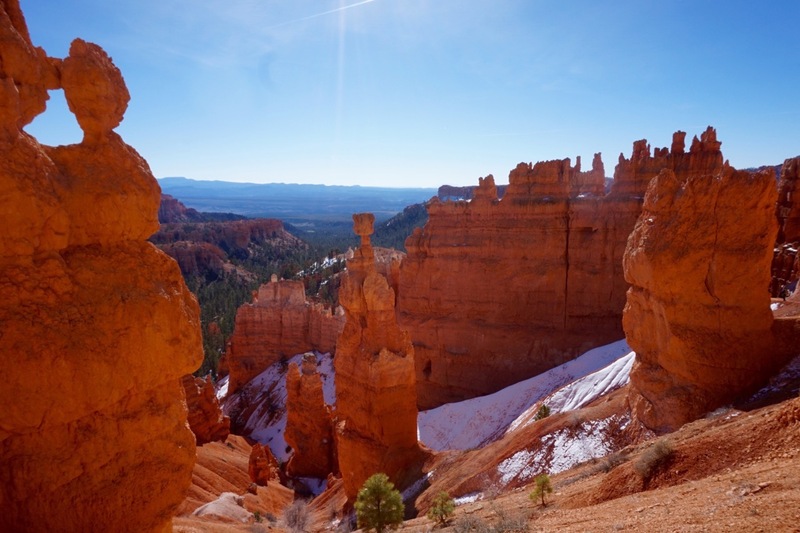 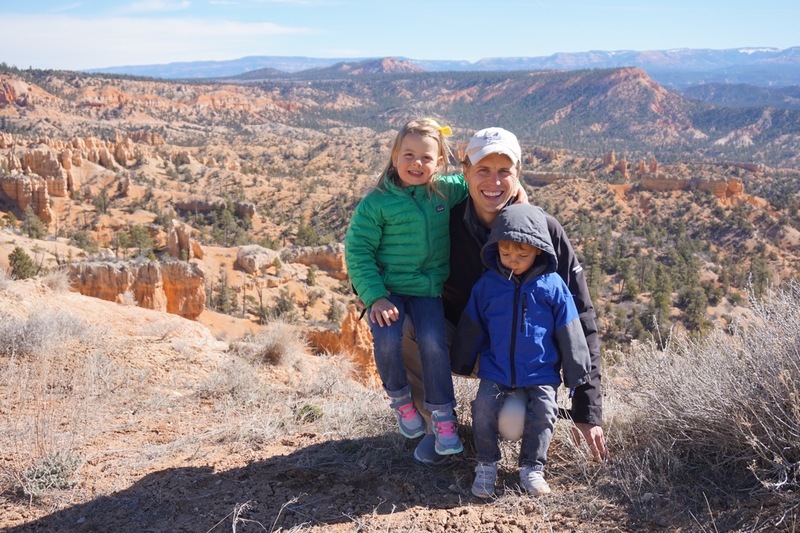 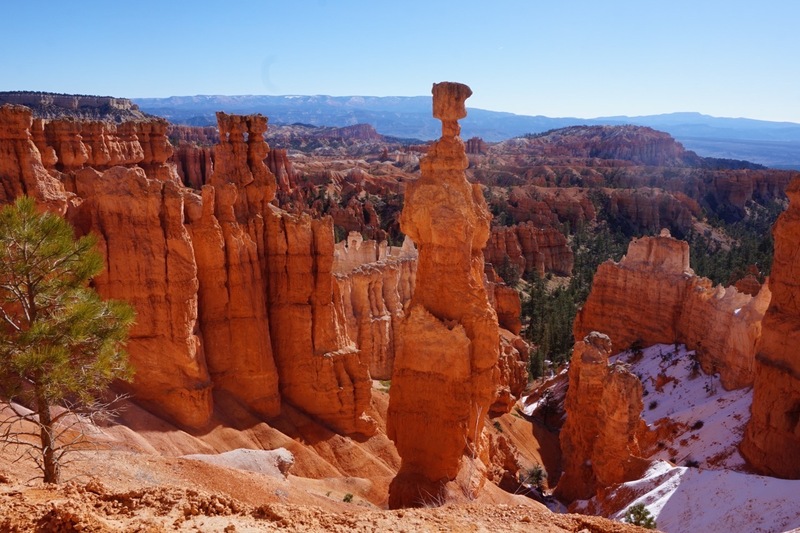 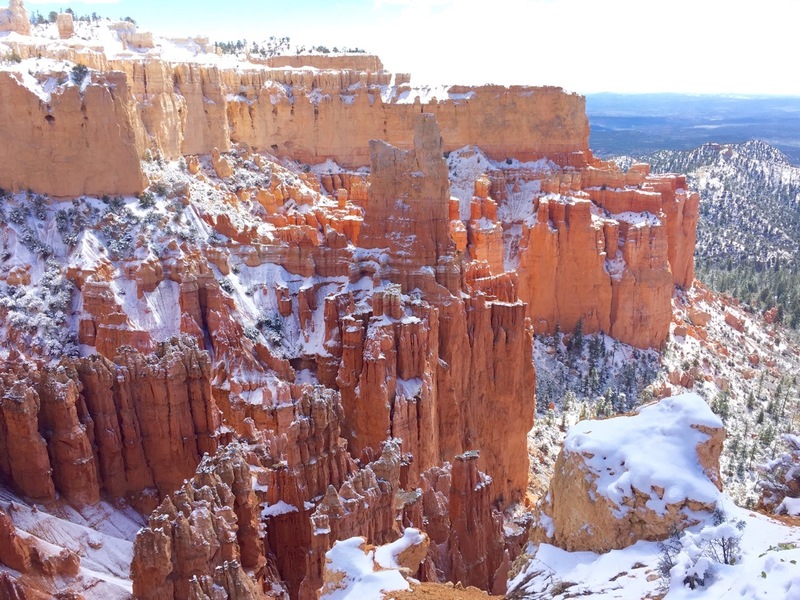 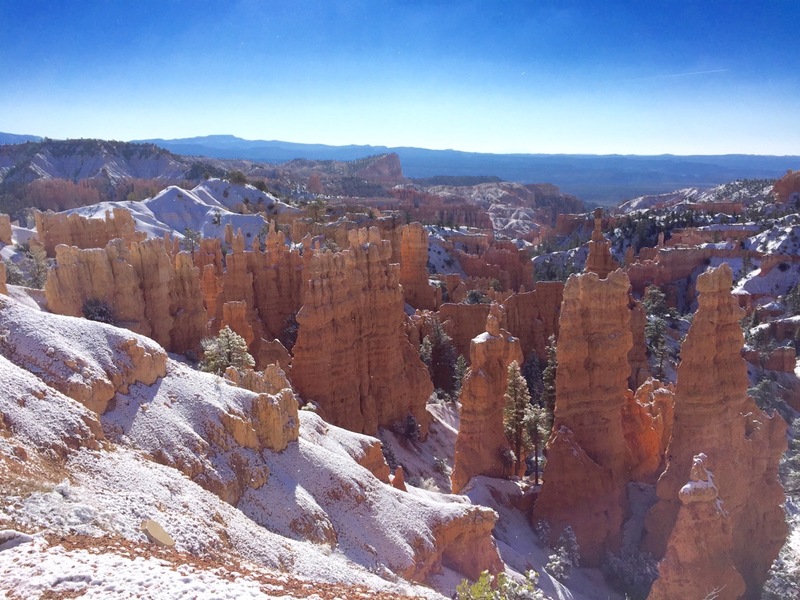 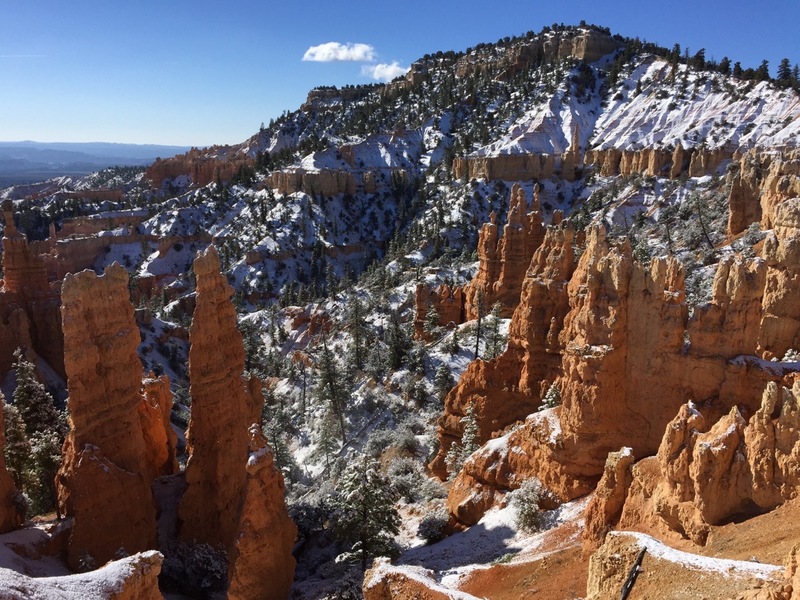 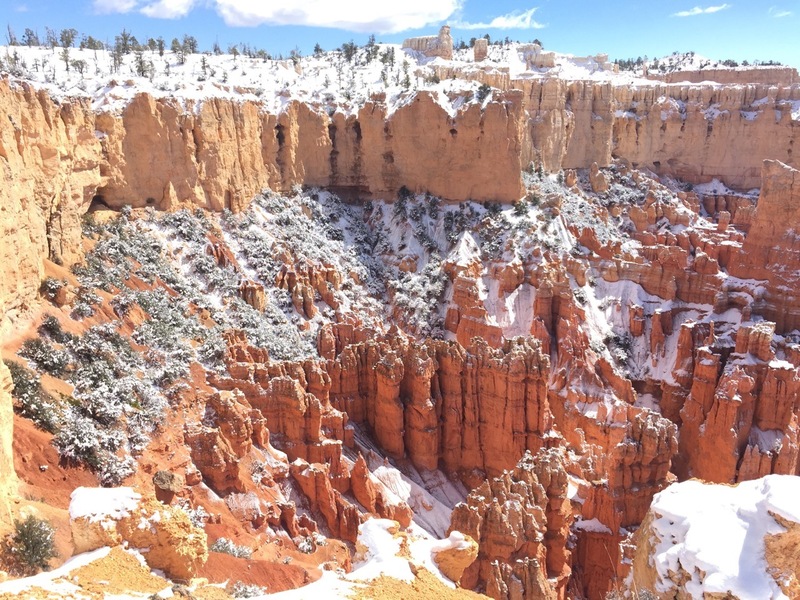 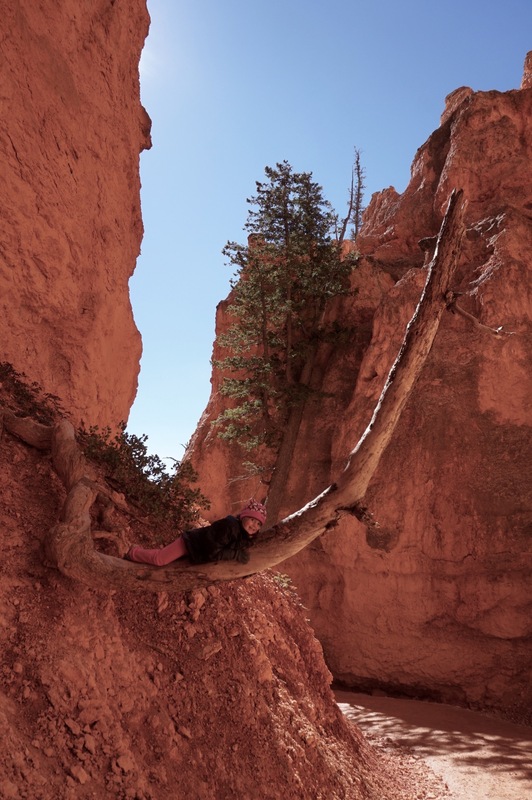 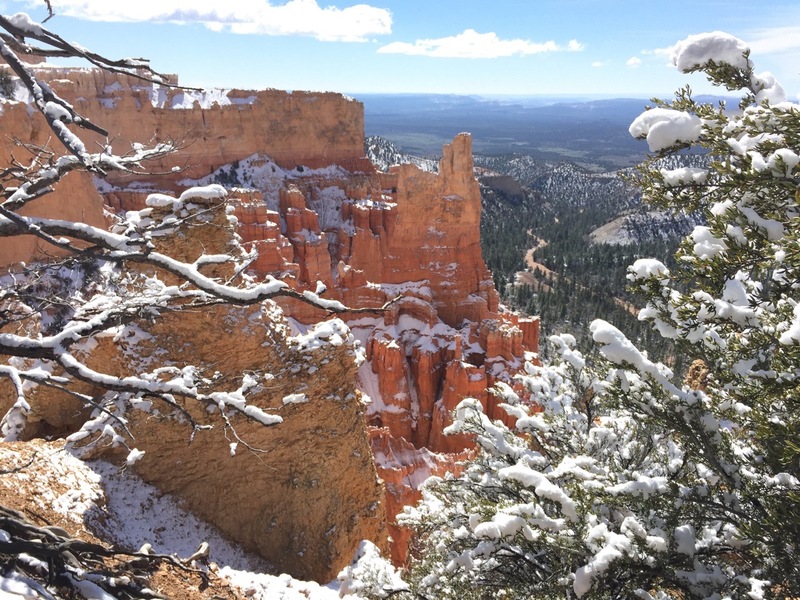 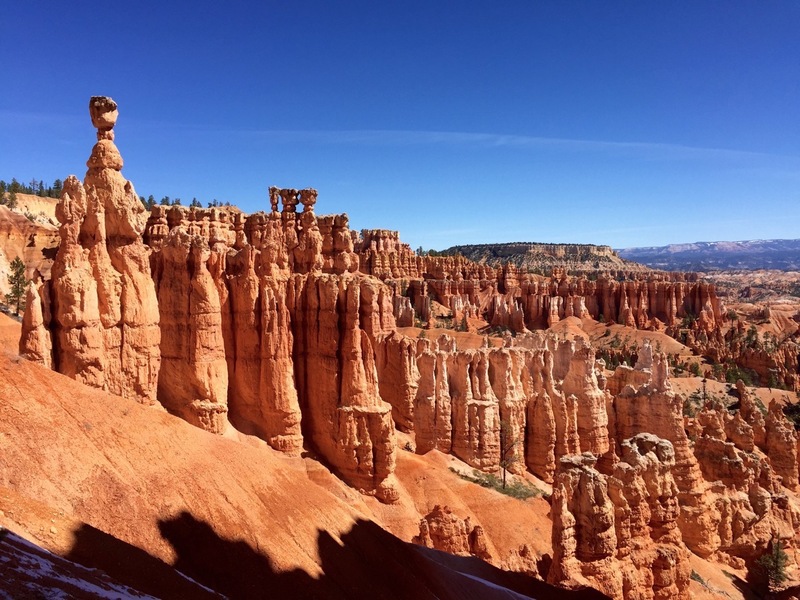 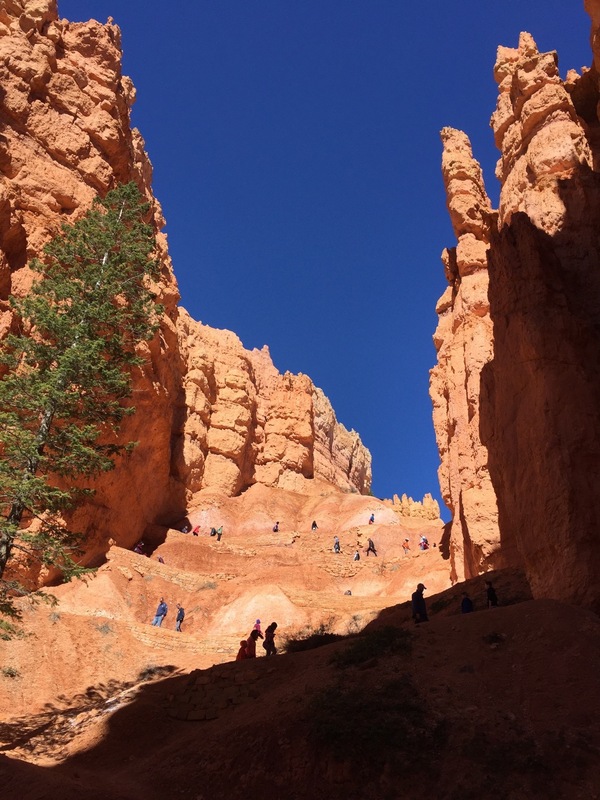 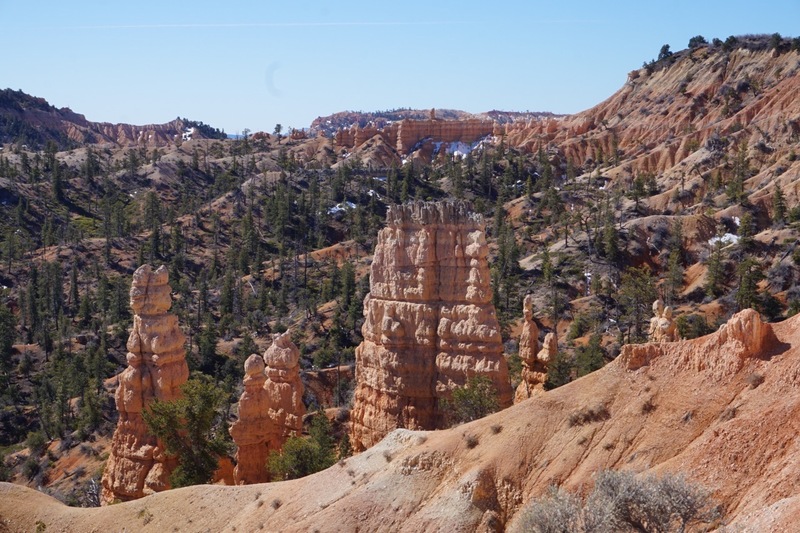 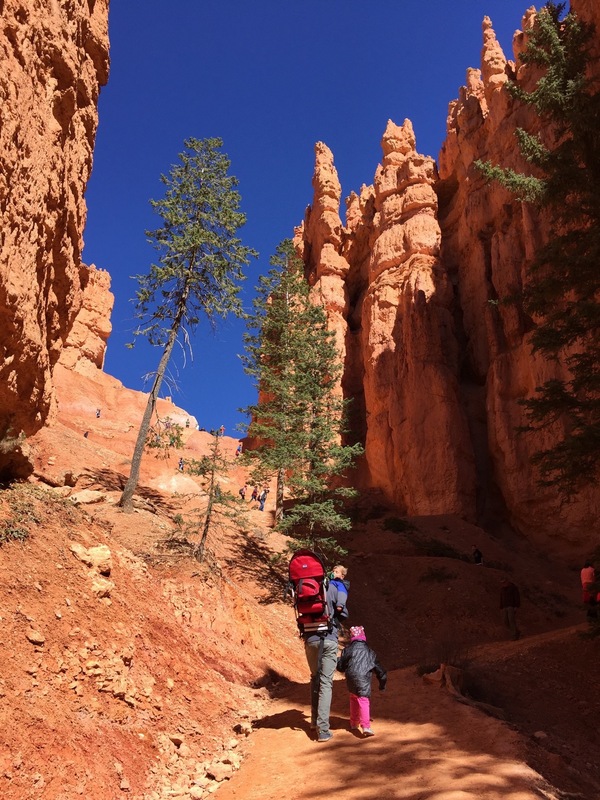 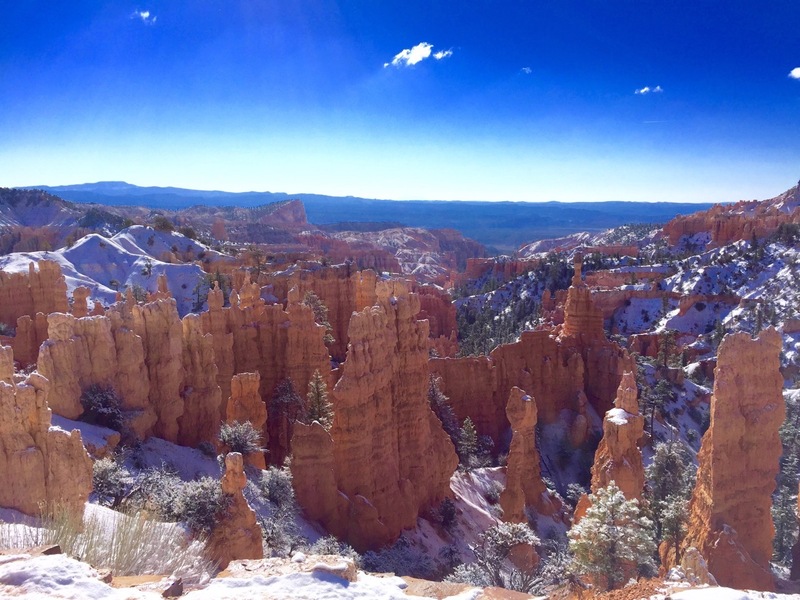 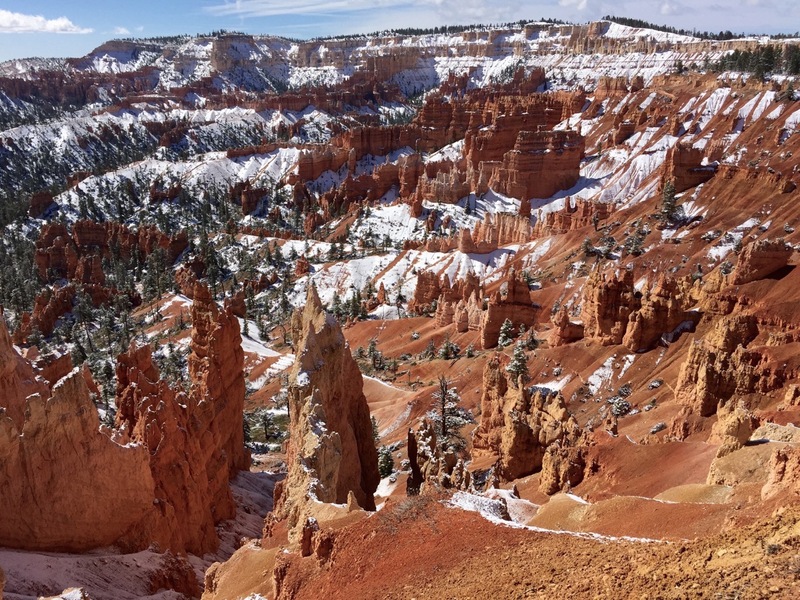 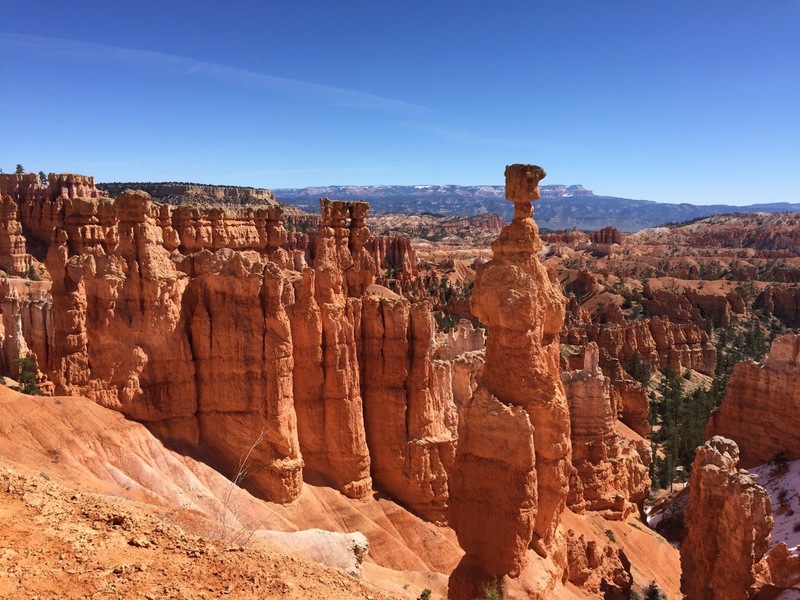 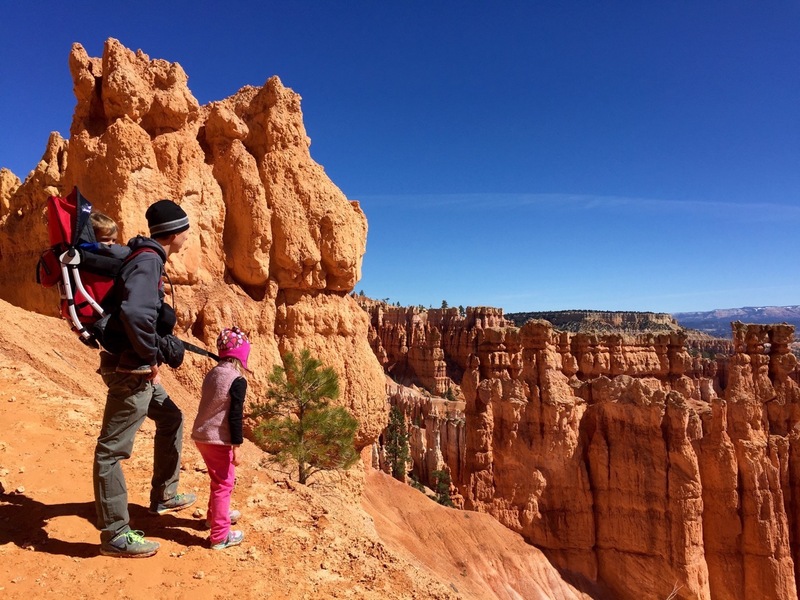 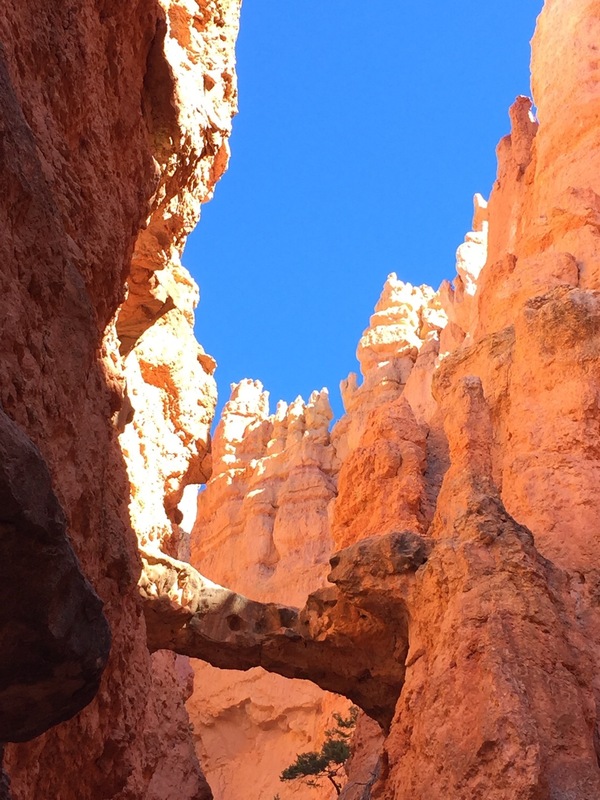 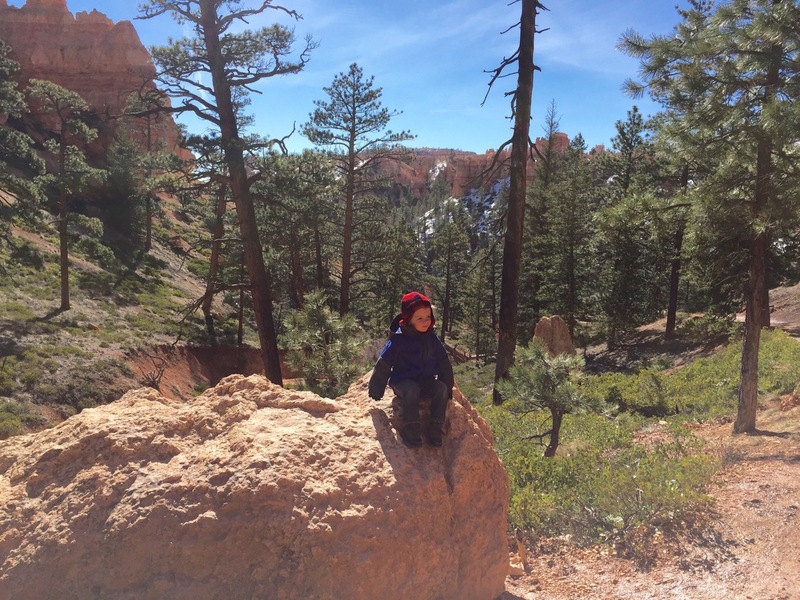 Besides the uncontrollable exuberance and handfuls of snow consumed, the real treat was the chance to see Bryce Canyon’s famous hoodoos covered in freshly fallen powder. 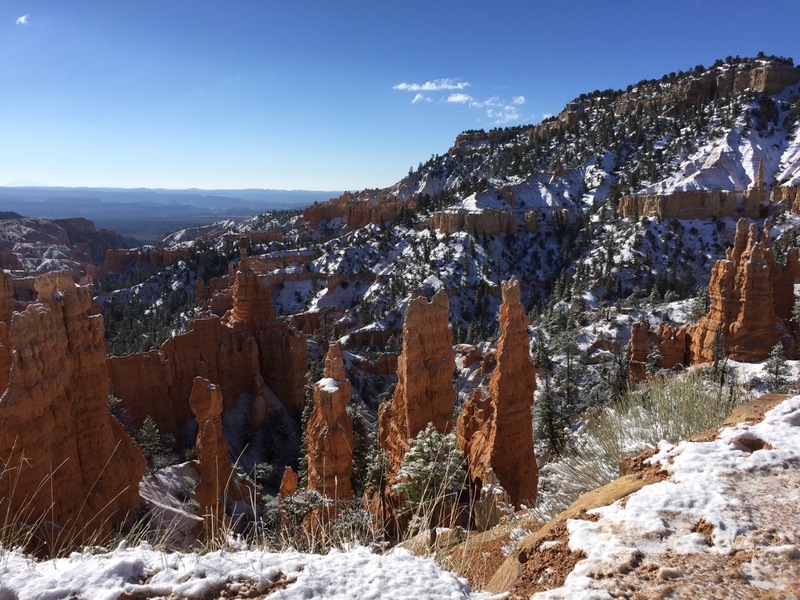 These tall thin spires are what Bryce is most know for and they take on a special elegance in the quiet cold day of a late season snowfall. 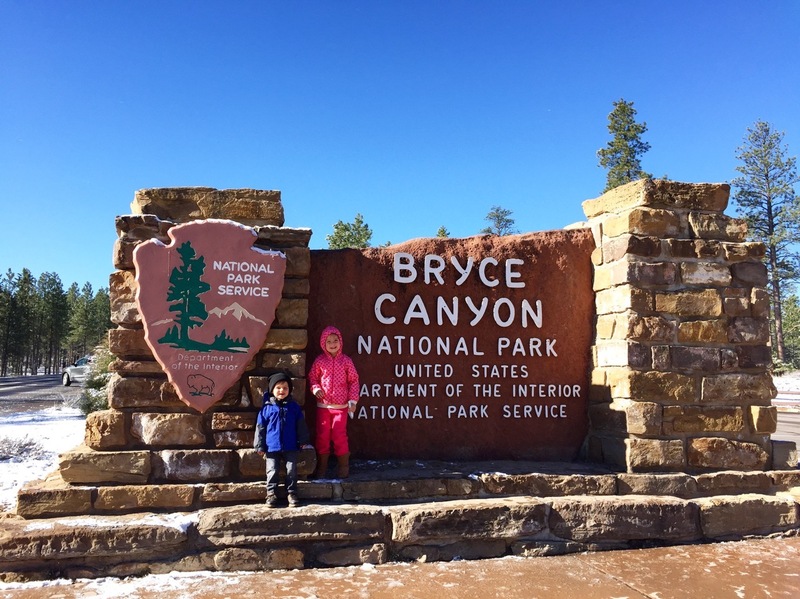 One day of snow (and very cold temps) was enough for a bunch of Texans, so we were pleased when it mostly melted the next day. 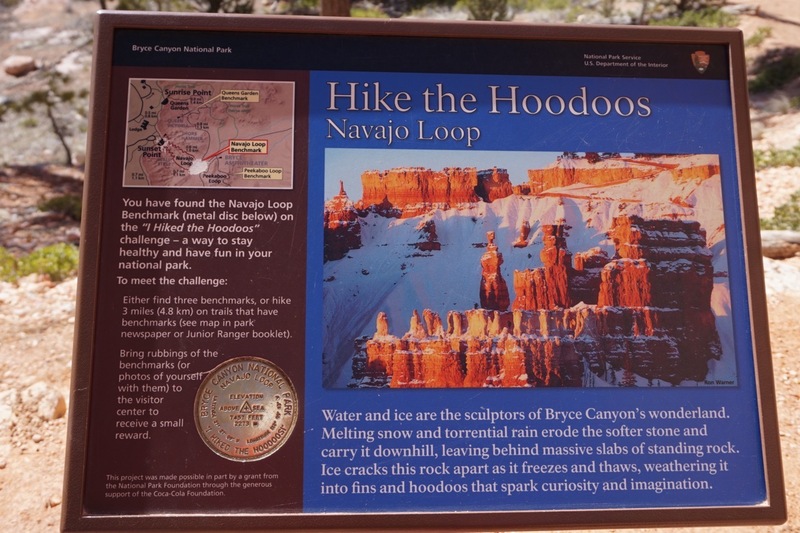 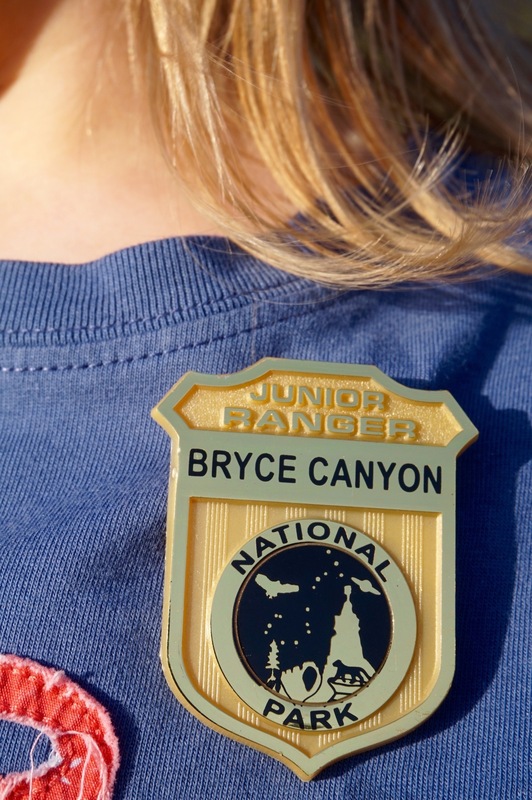 That gave us a few days of beautiful mornings to hike among the hoodoos on Navajo Trail, earn Jr. Ranger badges, and lunch at the lodge. 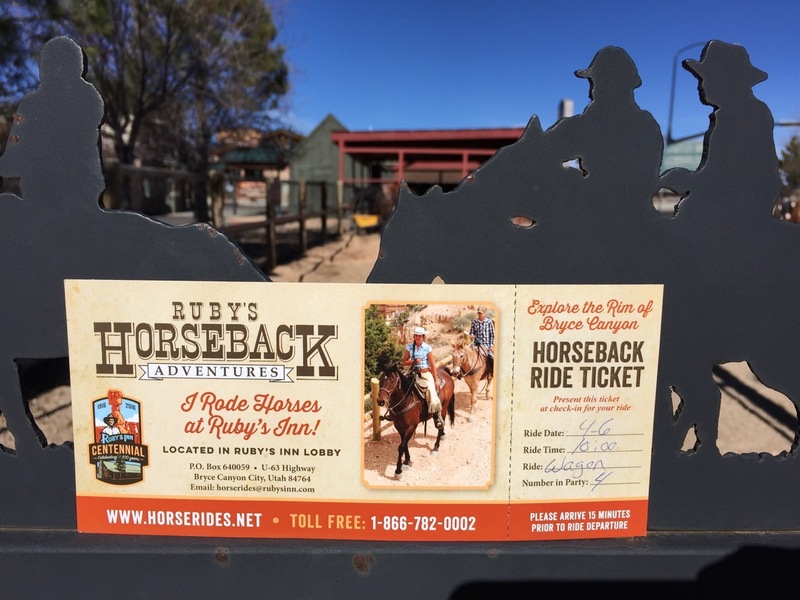 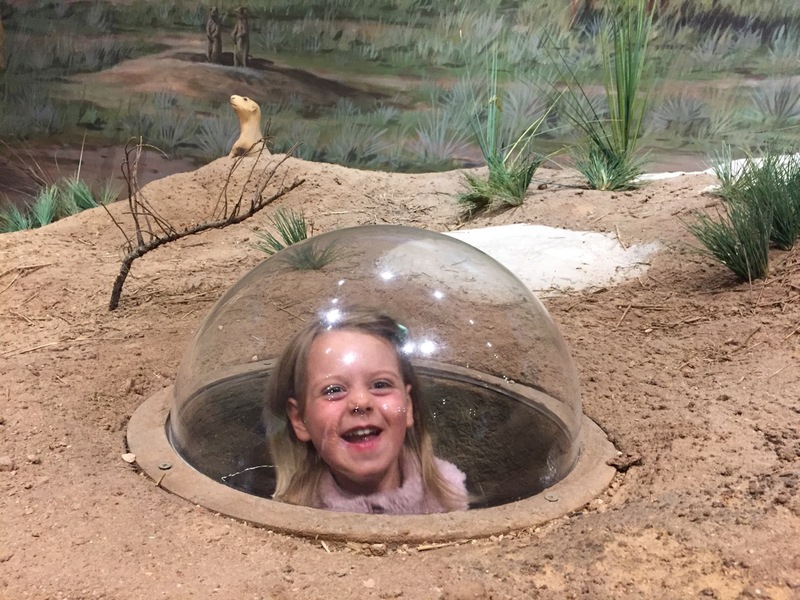 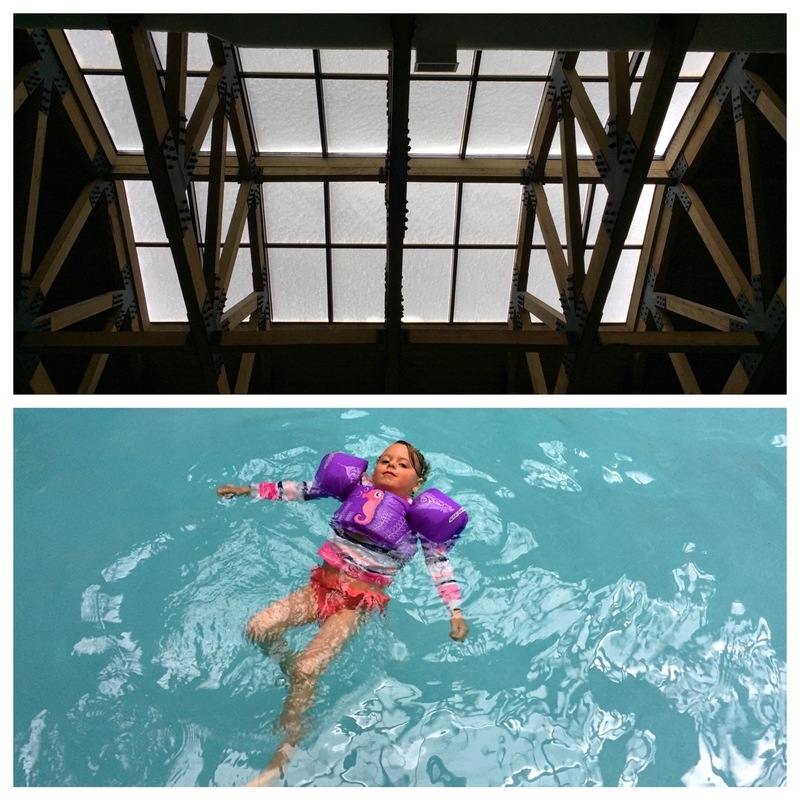 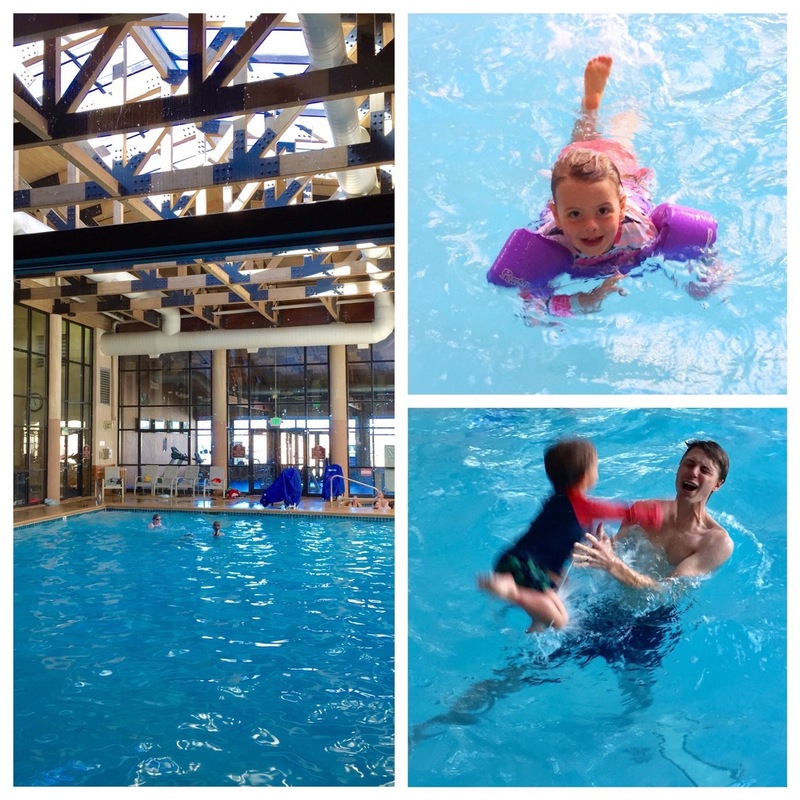 And much to the delight of the kids, spend the afternoons swimming at our neighboring (indoor) pool, a perk of staying at Ruby’s Inn and RV park. 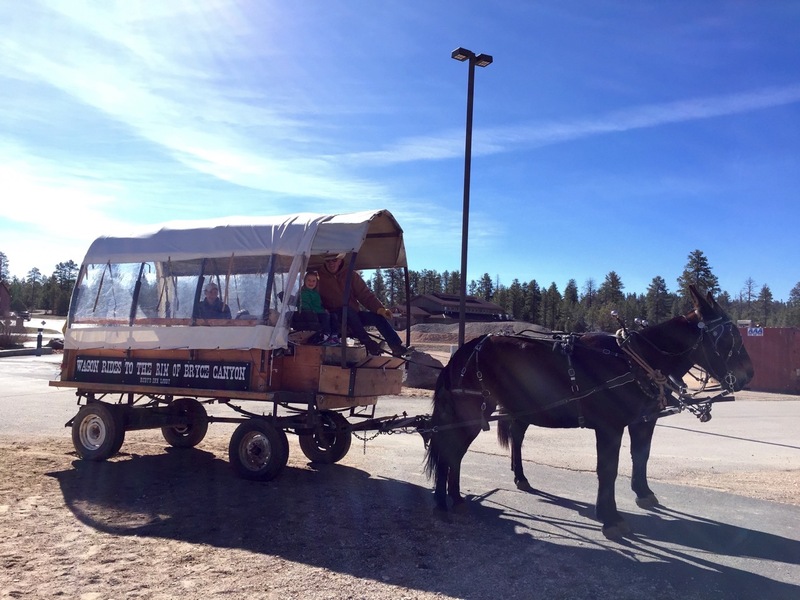 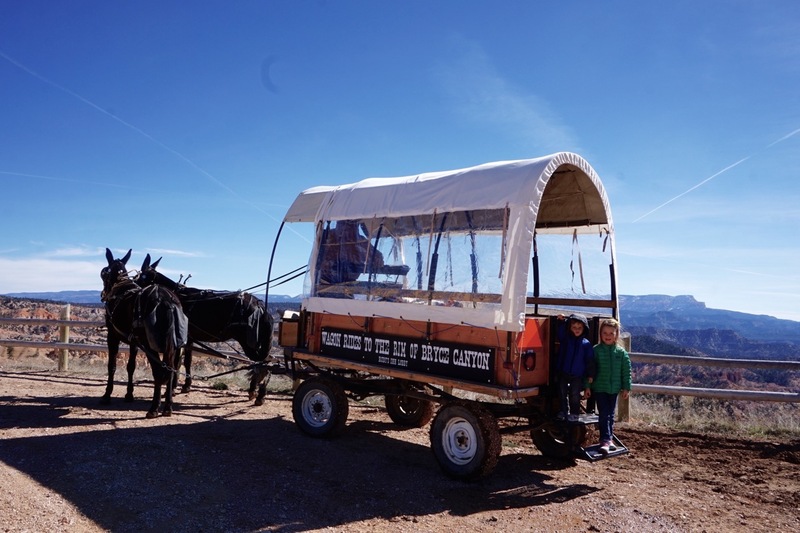 The last morning there was a unique treat, as we took a covered wagon ride out to the rim edge of Bryce Canyon, led by “Texas Dave” and his mules, “Polly” and “Dolly”. 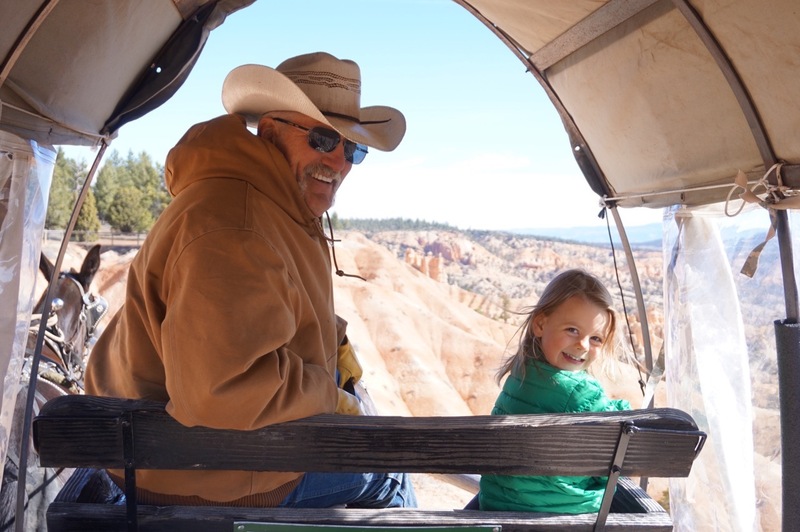 The scenery was of course gorgeous, but it was gregarious “Texas Dave” that made the ride so memorable. 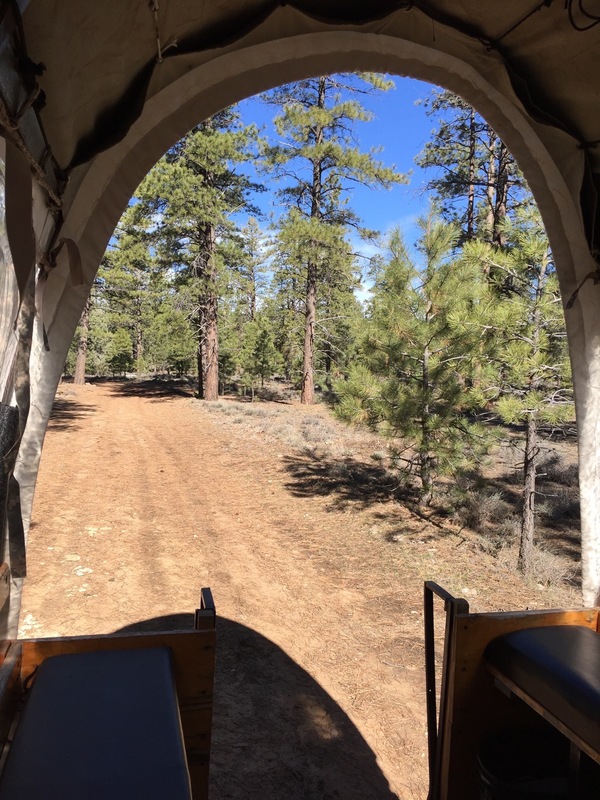 From poems and riddles, to history and heritage, he entertained us the whole ride through. 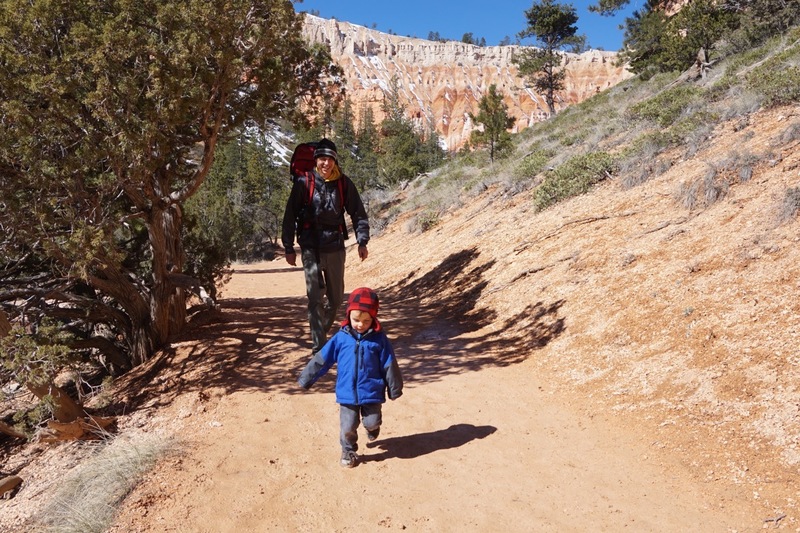 Next stop Zion National Park!